Bengaluru, India, July 27: India’s rising star Khalin Joshi is determined to win his first Asian Tour title on home soil when he contends at the US$350,000 TAKE Solutions Masters next month. 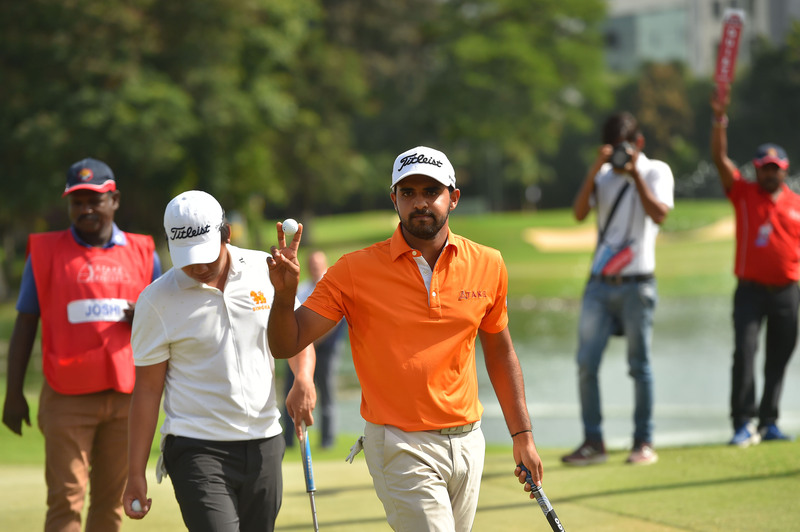 Joshi, a TAKE Solutions ambassador, has unfinished business in the event after being pipped to the title by a resilient Poom Saksansin of Thailand at the Karnataka Golf Association Golf Course last year. The 25-year-old Joshi admits that he has added pressure playing on home soil but he hopes to learn from his past experience when he tees off in the event being played from August 9 to 12. “I was born and brought up on the golf course. I’ve been playing golf at that course since I was four years old. I have a lot of good memories from the past. I will go out there and try to put myself in contention. There’s more pressure playing at home because people have more expectations from you,” said the Indian. Joshi will be joined by defending champion Poom and fellow TAKE Solutions’ ambassadors SSP Chawrasia and Chiragh Kumar. Chikkarangappa S, who won this event twice on the Asian Development Tour (ADT) will also be there along with Ajeetesh Sandhu, who finished third last year. Despite losing the title last year, Joshi said the result helped him secure full playing rights on the 2018 Asian Tour season. Ranked 16th on the current Habitat for Humanity Standings, Joshi will face a different scenario this year after securing playing rights for next season thanks largely to a tied fifth result at the Maybank Championship in Malaysia. “This event was a game changer for me. Obviously, I really wanted to win it but that result got me a few invites at the end of the year. That helped me in the re-rank. I will give this event a lot of credit for helping me keep my card (last season),” said Joshi. “For me this is like a home tournament because it is my home golf course and sponsored by a home company. I had a good performance last year but came up short. I hope to come out victorious at the end of the tournament this year,” he added. TAKE Solutions is a globally-recognised domain-leader in life sciences and supply chain management. This year, TAKE Solutions have raised the prize purse by US$50,000 after a successful edition last year. The tournament is promoted and managed by Kreeda Events who specialise in presenting world class events. Their aim is to build on the success of last year to develop the tournament into one of the leading events on the Asian Tour.